Diamond A Ranch offers guided spring South Dakota Turkey Hunting in Gregory, South Dakota. 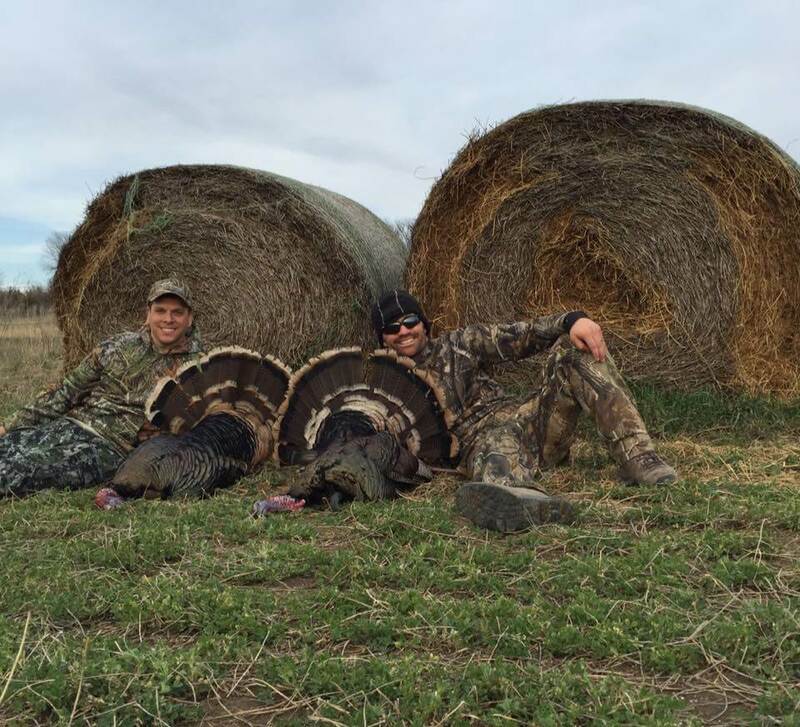 We have some of the best South Dakota Turkey Hunting around and nothing beats the excitement a client feels when a thunderous ole’ Tom presents itself for a great opportunity for harvest. We are centrally located just south of Chamberlin, SD amongst some of the most amazing hunting land in the state. 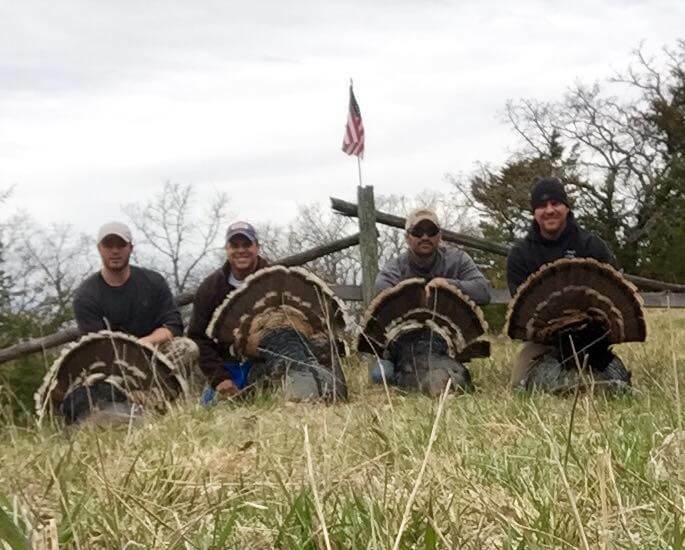 While we might be known for our South Dakota Pheasant Hunts, in the spring we provide clients with a great opportunity to come back to the ranch and take the challenge of a South Dakota Turkey Hunt. 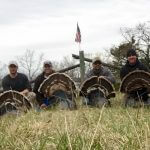 Our turkey hunting trips include – assistance from an experienced hunting guide, homestyle meals, comfortable lodging, transportation to and from hunting blinds, and more. We pride ourselves in providing our clients with the best South Dakota Turkey hunt possible and our past years success rates prove this. Last year our rates were near 100% for both shotgun and archery South Dakota Merriam turkey hunts and our clients had a blast. 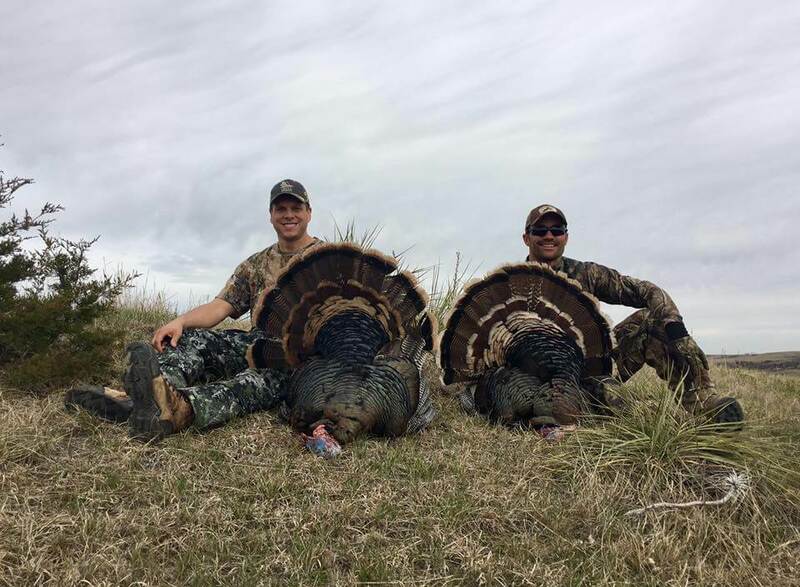 No matter if you’re looking to hunt Merriam’s for your Grand Slam, or you just want to try hunting South Dakota turkeys, the guides at Diamond A Ranch of Gregory, SD can make it happen. Our property in Gregory, South Dakota has been known to produce large numbers of Merriam turkey and other hybrids can be found as well. We do have a limited availability, however check with us often as we can make arrangements to get clients a last minute South Dakota Turkey Hunt. Merriam turkey hunts are featured in the spring. Drawing a tag is done by a lottery system. © 2019 Diamond A Ranch All Rights Reserved.